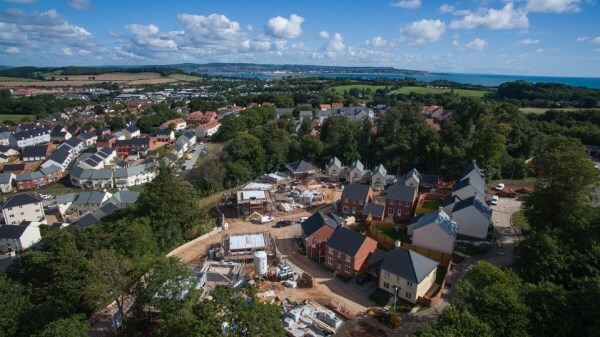 The first residents in a new part of Dawlish are settling into their brand new home after a hassle-free move, thanks to an innovative part exchange scheme. 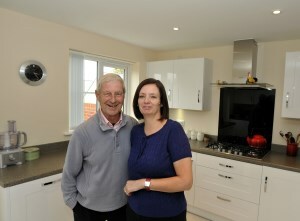 Roger and Karen Pleace have moved from Newton Abbot to the new Woodlands development on the edge of the popular south Devon town after taking advantage of Bovis Homes' special Home Exchange package. The scheme takes the trouble out of moving, giving existing home owners the opportunity to avoid estate agent fees and the stress of trying to sell their home. "We are proud of the Woodlands and delighted that it is proving so popular with buyers - with Mr and Mrs Pleace as the founding members of this new part of the community!" said Wayne Bennett, South West Sales and Marketing Director for Bovis Homes. "It's a stunning location and with a range of local amenities only a short walk away in Dawlish, it is a fantastic place to live. "With Home Exchange the stress and hassle is taken out of selling your home. Bovis Homes will get valuations for your home from at least two local estate agents and you won't need to worry about costly fees and frustrating property chains. We will take care of it all." The couple selected 'The Cheyney' a four-bedroom, detached home in the semi-rural location, nestled amongst attractive established woodland. "The new development is coming along well and it is very peaceful here," says Roger. "We preferred the Cheyney to the other house types and it just suited our lifestyle." The home has a fitted kitchen, with integrated appliances included and a separate sitting room leading through to a dining room. Upstairs, there are four bedrooms, with an en suite and fitted wardrobe to the master bedroom. As Roger and Karen reserved the home at an early stage, they were able to choose many of the fixtures and fittings in the property themselves, to create a home in their preferred style. "It worked out very well and it was good that we were able to choose the kitchen tiles and cupboard doors. We're very happy with the finished product," continues Roger. The Woodlands is situated within easy reach of the city of Exeter and includes a mix of four and five-bedroom homes. Wayne said: "If you're looking for a home in South Devon, it's well worth a visit to Woodlands. What other house builders consider as extras, Bovis Homes provide as standard. You could get a fridge-freezer, washing machine, dishwasher and built-in wardrobe all included within the price."